The Office of the Victorian Information Commissioner (OVIC) recognises that children and young people are an important stakeholder group, as they value privacy in different ways and engage with technologies and platforms differently to other groups. Educating children and young people about the importance of privacy, and giving them the tools and skills to help protect it, is vital to minimising the privacy risks facing this group. Children and young people bring valuable insights to the privacy challenges they face, and it’s also important that they are able to give their opinions and input into the initiatives and policies that will protect their personal information. That’s why we have the Youth Advisory Group (a.k.a. YAG). The current YAG has been around since 2015, and was established by the former Commissioner for Privacy and Data Protection. Today, YAG continues to advise OVIC’s Information Commissioner on privacy issues affecting young people, assist OVIC in its engagement with children and young people in Victoria, and provide input and feedback for the development and delivery of materials targeted towards children and young people. YAG is made up of around 10 young Victorians between the ages of 15-20. 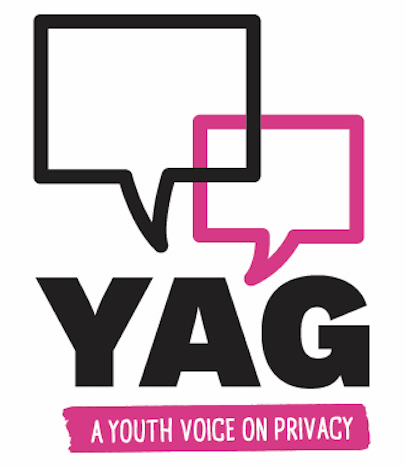 YAG hold meetings throughout the year to discuss privacy issues, host and attend events, and work on initiatives to promote awareness of privacy among children and young people in Victoria. It’s privacy for young people, by young people. YAG meets six times per year and works together on projects both online and in-person. If you are aged 15-20 years old, have an interest in privacy, and believe you would be able to represent the perspectives of your peers, please download this YAG Application form for more details and return to policyteam@ovic.vic.gov.au. Does your organisation have a project that you would like the OVIC YAG to assist you with? One of YAG’s key goals is to engage and collaborate with other organisations to promote awareness of privacy amongst children and young people in Victoria. YAG regularly attend events and are always on the look out for more opportunities to engage. If your organisation has a project or event that you think YAG can assist with, please contact the YAG Coordinator at policyteam@ovic.vic.gov.au, or by phone on 1300 00 6842.